Dr. Min Xue is an aerospace research engineer at Aviation System Division, NASA Ames research center. He is a task lead under the Unmanned aerial vehicle Traffic Management (UTM) project and also a member of UAM Coordination and Assessment Team (UCAT). He received the doctor’s degree in aerospace engineering from the University of Maryland at College Park. In past years at NASA Ames, he had been working on various research topics in aviation including trajectory optimization and prediction, dynamic airspace design, optimal flight scheduling and routing, and integrated arrival and departure scheduling. 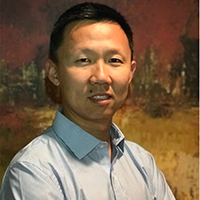 He has published over 30 journal/conference papers in the areas of air transportation, optimization, scheduling, dynamic airspace design, machine learning, simulation and modeling.